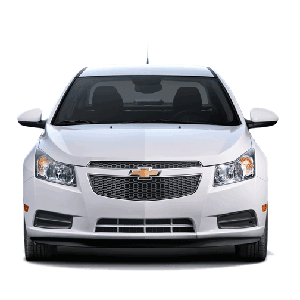 Ever since the new Chevrolet Cruze Diesel Debuted in 2013, we have known it was a winner. (It’s the only non-hybrid car available today that gets such high gas mileage- and it’s a blast to drive.) And now USA Today agrees, having just voted it “One of the Best Cars from 2013”. “The low-speed torque that’s inherent in a diesel is well-suited to much U.S. driving, and can make the daily slog a bit more exciting. In fact, the diesel’s the quickest Cruze, Chevy says, clipping off the 0-to-60 dash notably faster than the gasoline models. 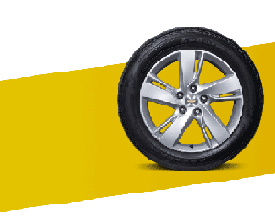 Click here to learn more about the new Chevy Cruze. The New Chevrolet Cruz Turbo Diesel has arrived at Mirak Chevrolet, a Boston Chevrolet Dealer in Arlington, MA. The New 2014 Chevy Cruz Turbo Diesel gets 46 highway miles to the gallon, yet it has 150 horsepower. The Cruze Clean Turbo Diesel hits the Boston Area roads running as the first clean diesel car ever produced by a U.S. automaker and will offer an EPA-estimated 46 MPG highway. It has a starting MSRP of $24,885*. Clean diesels generate at least 90% less Nitrogen Oxide (NOx) and particulate emissions when compared to previous-generation diesels. 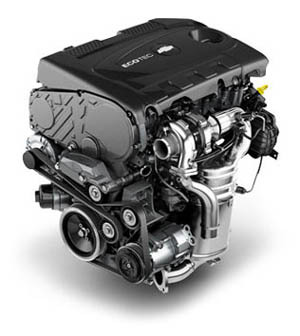 It all starts with a 2.0L turbocharged clean diesel engine designed in Italy, built in Germany and installed in the Cruze at our factory in Lordstown, Ohio. The 2014 Cruze Clean Turbo Diesel comes equipped with the very latest clean diesel technology which helps reduce emissions while also boasting 148 horsepower and 258 lb.-ft. of “low-end” torque that customers of our Boston Area Chevrolet dealership will have to experience to believe. Cruze Clean Turbo Diesel emissions are below strict U.S. environmental standards. In fact, to even qualify for clean diesel classification, Cruze had to meet modern Tier 2 Bin 5 Emission Standards —a new generation of stringent clean diesel standards. Cruze Clean Turbo Diesel is equipped with technology including exhaust gas recirculation, selective catalyst reduction, a particulate filter and advanced fuel system components. All these technologies working together allow the diesel engine in Cruze to perform with very low Nitrogen Oxide (NOx) emissions and very low particulate emissions. While the Cruze Clean Turbo Diesel certainly packs a cleaner kick, it’s designed to reduce the noise and vibration often associated with earlier generation diesel cars. Right down to the sporty 17-inch alloy wheels, chances are, Boston Area drivers never felt something so fun to drive with this kind of efficiency. The Cruze Clean Turbo Diesel hits the Boston Area roads running as the first clean diesel car ever produced by a U.S. automaker and will offer an EPA-estimated 46 MPG highway. It will have a starting MSRP of $24,885*.